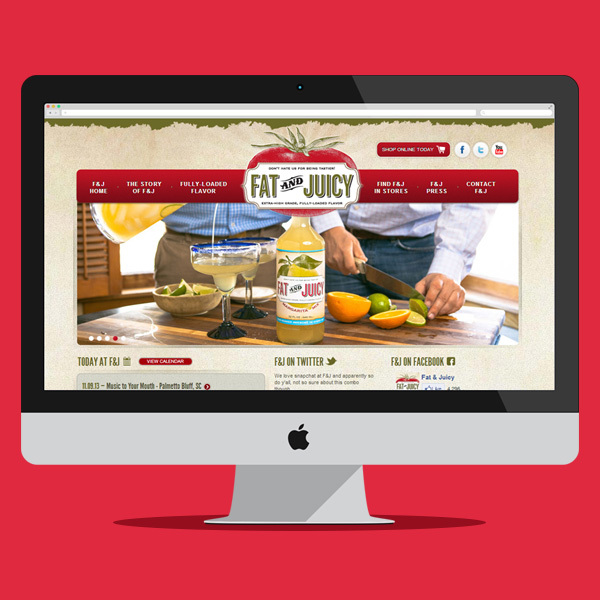 Fat & Juicy (www.fatandjuicy.com) needed a new digital experience to match their rapidly expanding reach of their staple product, F&J Bloody Mary Mix, which is currently traversing the country in over 25 states and US territories. Check out the social media integration throughout the site, the custom interactive F&J locator, the visual calendar, their streamlined photo gallery, and more. In 3,849 retail locations nationwide, F&J Bloody Mary Mix continues to rock it.